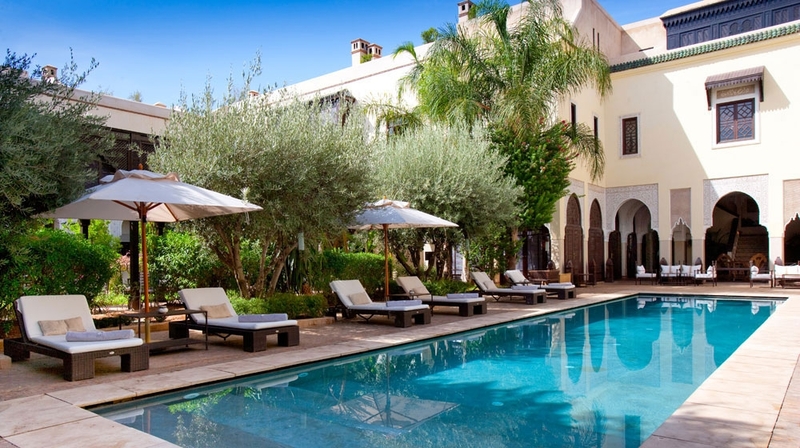 Welcome to a private oasis in the heart of Rome. 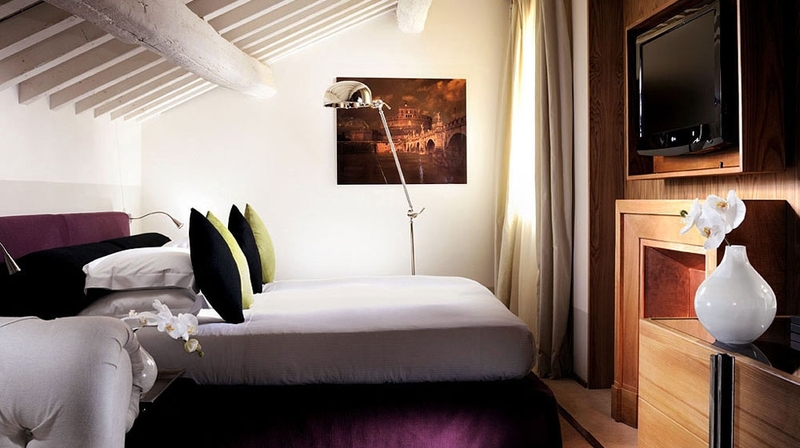 Boutique hotel Mario de' Fiori 37 perfectly marries traditional Roman design with contemporary style and comfort. This is a hip hideaway for urban explorers. 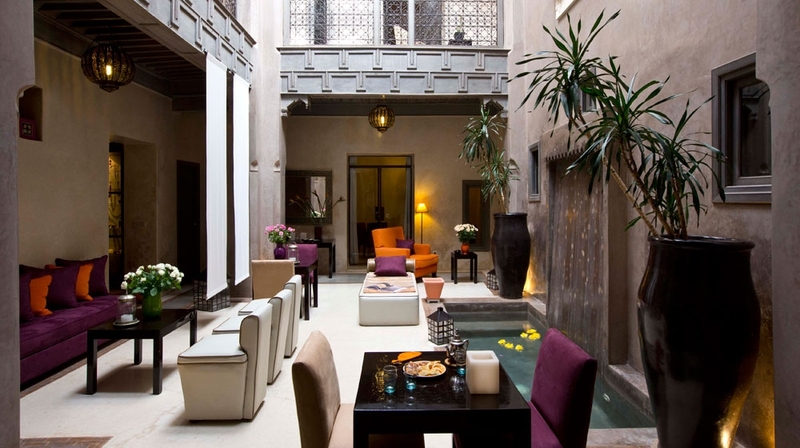 Dating from 1658, this historical townhouse is situated in Rome's most exclusive neighborhood. 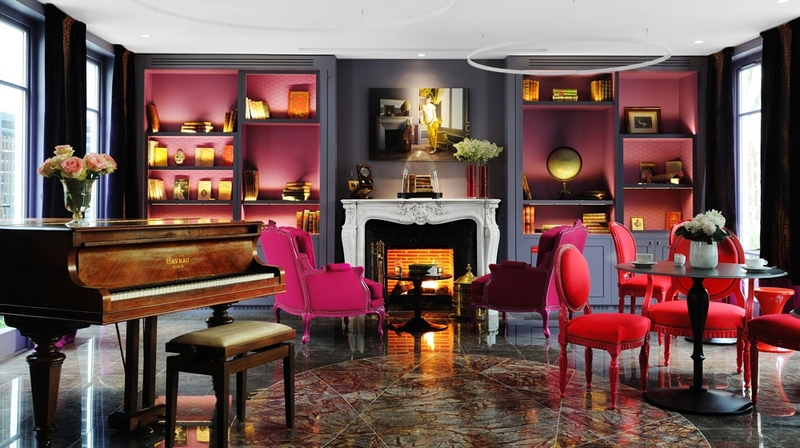 Surrounded by glittering cafes, restaurants and shops, our luxury suites are only steps away from the Spanish Steps and Via Condotti, Rome's most fashionable shopping street. And in just a short stroll, our guests will discover the Trevi Fountain, the Pantheon and other famed attractions. Each Mario de' Fiori 37 suite has been renovated in a contemporary style while retaining its historical origins, a masterpiece of comfort and design. 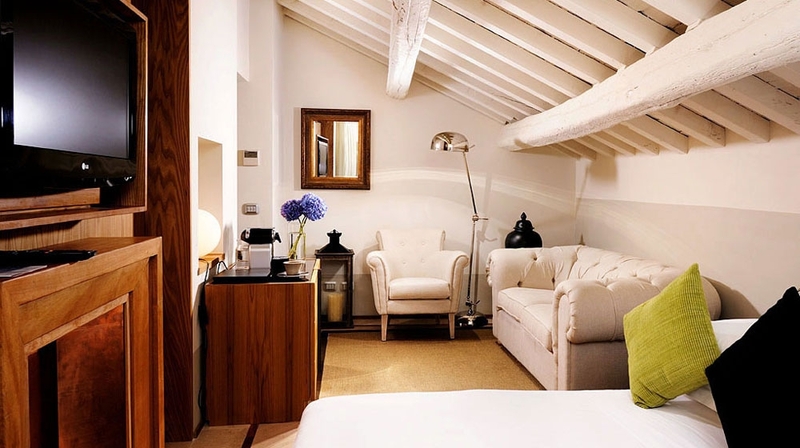 Stay in our luxury suites near the Spanish Steps, Rome. 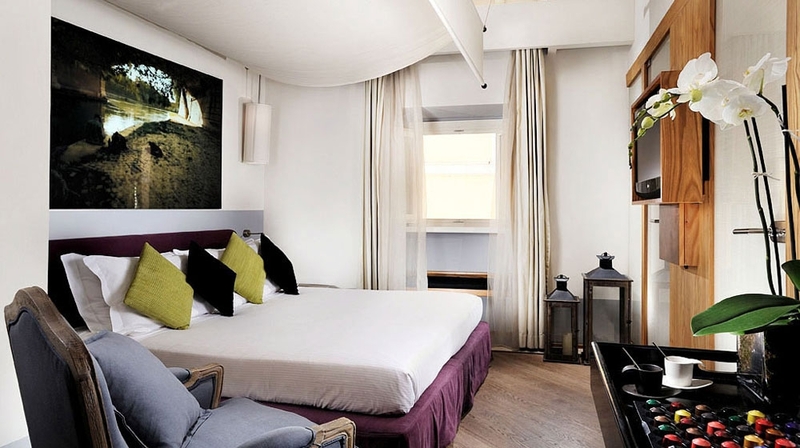 Original wood-beamed ceilings, Roman Travertine marble, king-sized canopy beds fitted with luxurious Frette cotton sheets are just a few of the sumptuous comforts that await you in your spacious Roman home away from home. 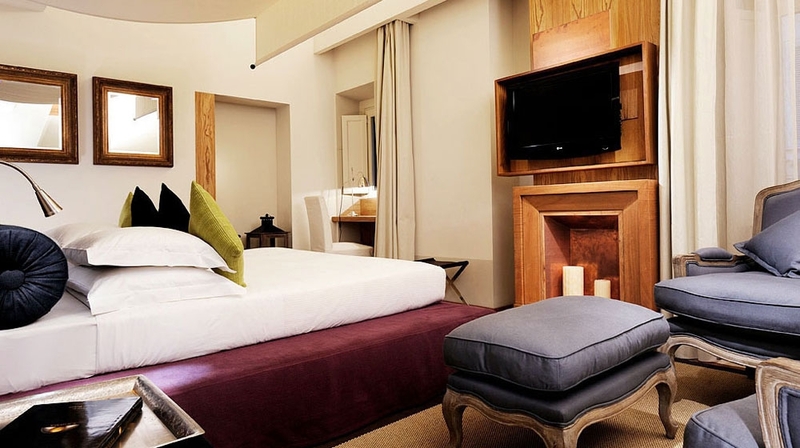 Our Double Deluxe suite features a king-sized canopy bed with luxurious Frette sheets. The bathroom is complete with a marble shower. 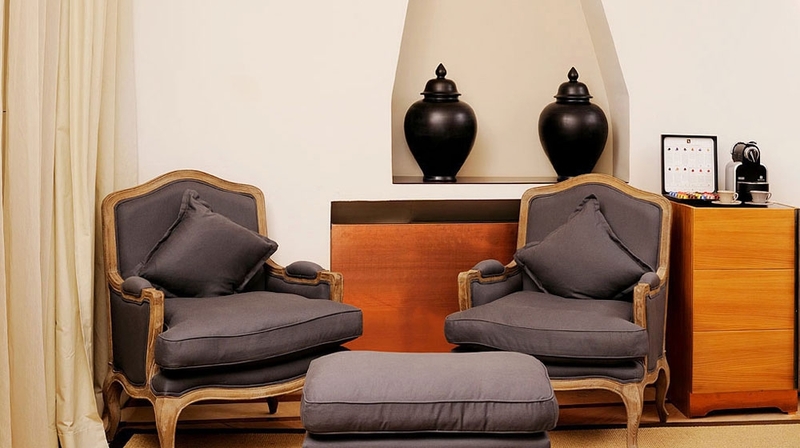 Relax in comfort and style as you plan your next Roman adventure. Studio Deluxe: Stunning original art and designer touches make our spacious deluxe studio suite warm and welcoming. It features a king-sized canopy bed with luxurious Frette sheets and a separate seating area. The stylish bathroom has a marble bath. Junior Deluxe: Contemporary design and old world charm meet to provide absolute comfort! Stretch out and enjoy this expansive enclave. It features a king-sized canopy bed with luxurious Frette sheets and a separate seating area.The elegant bathroom is complete with a marble bath and a separate shower. Rooftop Suite: Tucked under the timber beams of our pitched roof, the rooftop suite is a unique and charming hideaway enhanced by stunning modern furnishing and amenities. 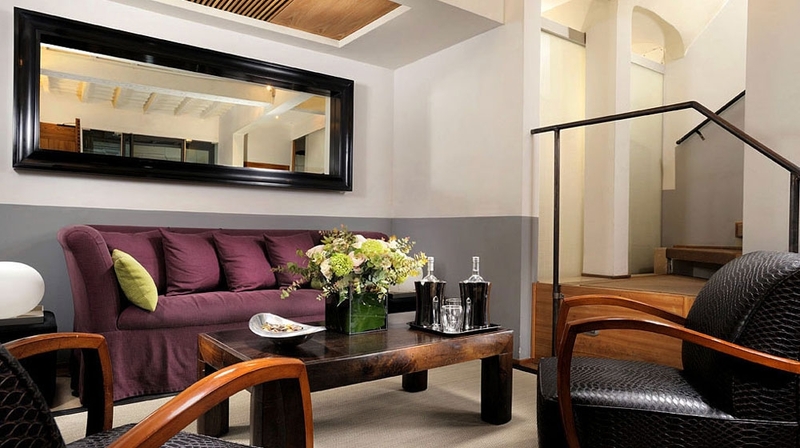 Cozy but roomy, our largest suite provides the privacy and charm of a top floor attic apartment. The master bedroom has a king size bed and seating area. 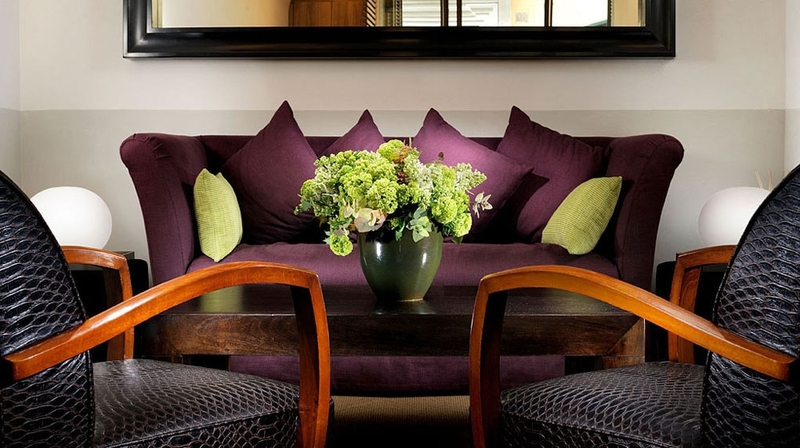 There are two closets able to accommodate a generous sized wardrobe, plus a workspace with WiFi Internet access. 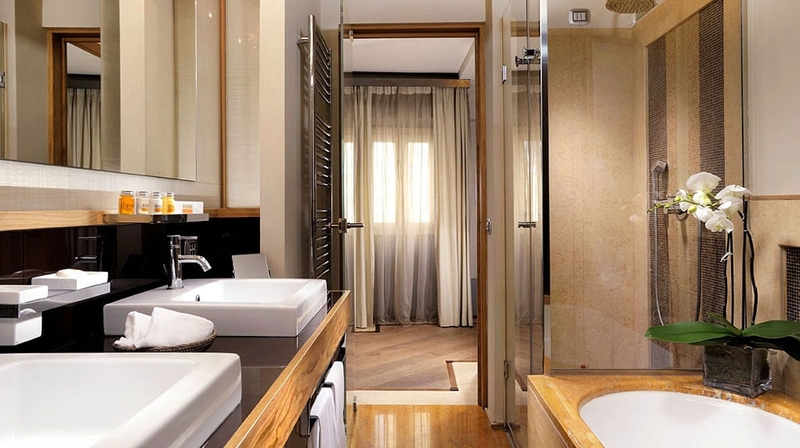 The over-sized marble bathroom is complete with a large walk-in shower and separate tub. 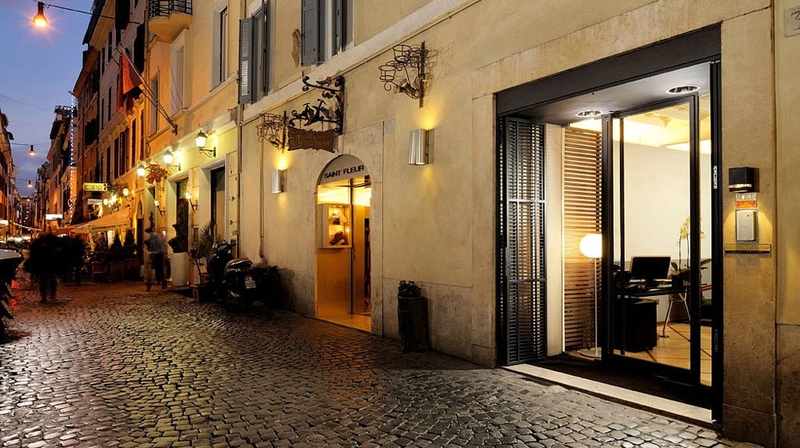 Located just a few steps away from the famous Piazza di Spagna, at the corner of the charming Via della Croce, you have cafes, shops and the main sights just a short walk away. Breakfast is served in your room and guests can choose from a continental, American or diet. There's even a special children's breakfast. 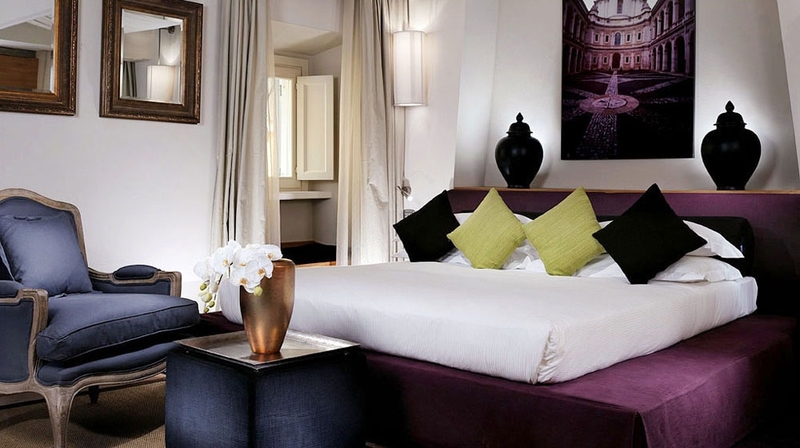 Stay at Mario de' Fiori in Rome's most exclusive neighbourhood, surrounded by some of the best shops and restaurants in the world. By Plane: The nearest airport is Rome Leonardo Da Vinci (Fuimicino) Airport: 22 km.